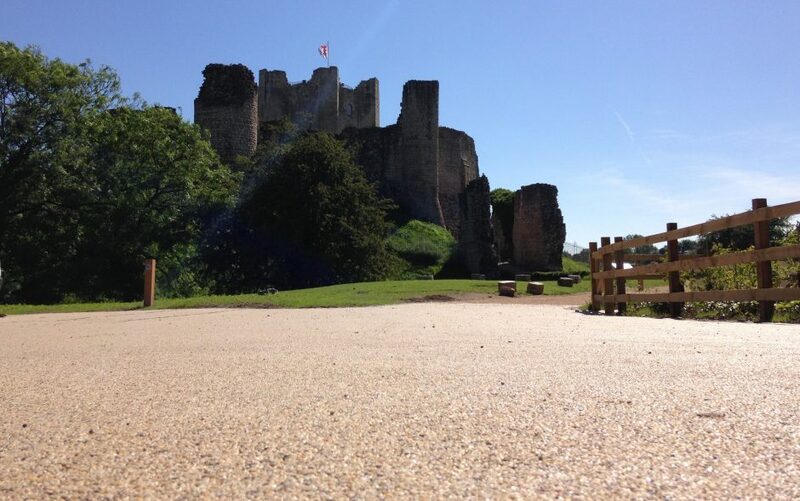 Over 300m2 of RonaDeck Resin Bound Surfacing with Beige Pearl aggregate was laid at Conisbrough Castle, Doncaster. Conisbrough Castle is a 12th century Grade I listed castle, one of the country’s best examples of medieval architecture, featuring a rare Norman hexagonal keep. 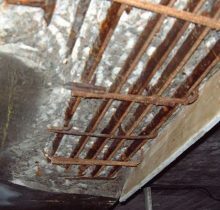 The castle was closed for six months for major redevelopment work amounting to £1.1m. The project was funded by the Heritage Lottery Fund, English Heritage and Doncaster Metropolitan Borough Council and included a new visitor centre, larger education and exhibition rooms, interactive displays, improved access, signage and parking. The new visitor centre was built onto an existing Victorian lodge and the surrounding park was landscaped. The car park and the area in front of the centre and its surrounding path were surfaced with RonaDeck Resin Bound Surfacing by Ronacrete Approved Contractor Route One Highways. 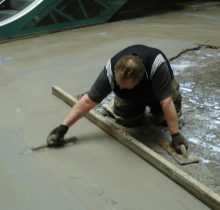 The RonaDeck Resin Bound Surfacing System was supplied as a two-component UV stable polyurethane resin and a blend of kiln-dried aggregates; the two resin components were mixed by Route One with a slow speed drill and paddle before being added to a forced action mixer containing the Beige Pearl aggregate blend. 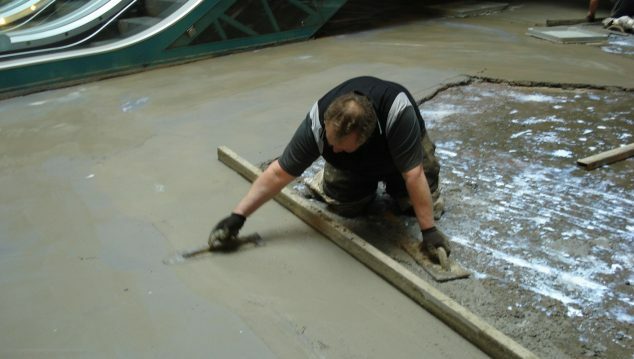 The RonaDeck Resin Bound Surfacing was spread to level and the surface was smoothed with a steel float. RonaDeck Resin Bound Surfacing was applied at a thickness of 15mm on the path and 18mm in the car park. RonaDeck Resin Bound Surfacing satisfies SuDS requirements, allowing rainwater to quickly and easily drain through the porous surface. 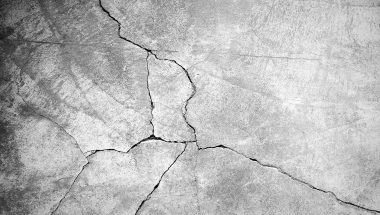 The surfacing is tested to BS 8204-6 and this test shows the risk of slip to be low, an important factor to consider at a busy tourist attraction. RonaDeck Resin Bound Surfacing is also suitable for wheelchair ‘traffic’ as wheels will not sink and get caught as they do in loose gravel paths. 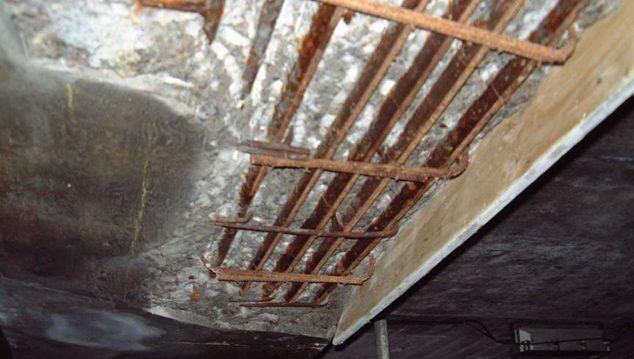 The resistance of the resin to ultra-violet light ensures that the resin will not yellow or darken and will remain elastic, lengthening the service life of the system. By improving the access and parking facilities at Conisbrough Castle, RonaDeck Resin Bound Surfacing has played a role in a major redevelopment project that will bring history alive to thousands.